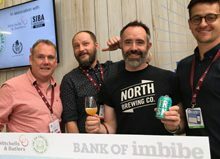 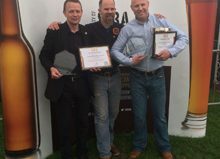 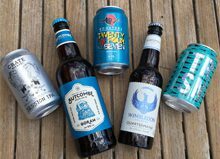 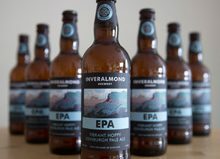 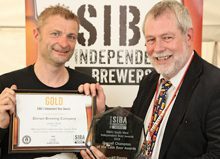 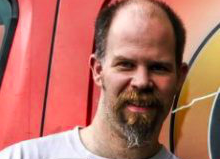 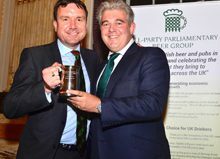 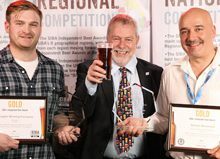 Loch Lomond Brewery have swept the board at the SIBA Scotland Independent Beer Awards, taking home overall Gold in both the cask and small pack (bottle and can) competitions – the first time ever in the competition’s history. 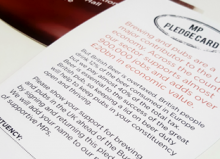 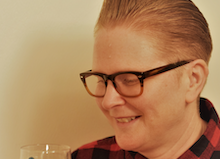 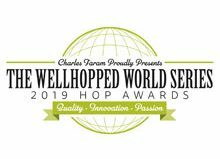 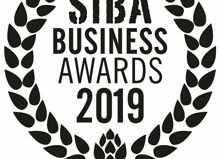 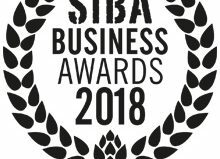 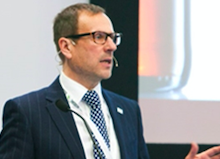 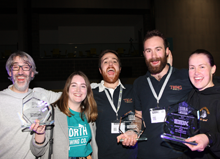 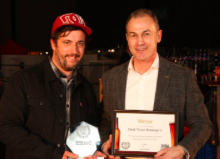 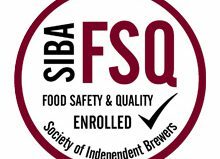 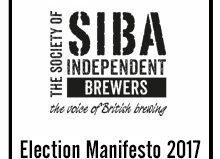 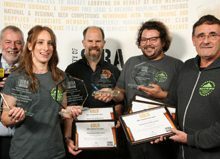 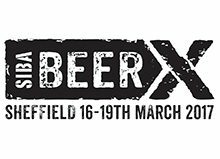 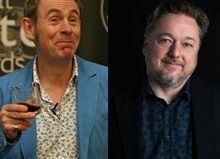 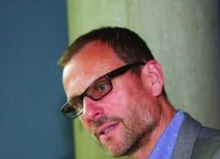 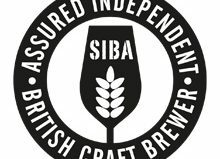 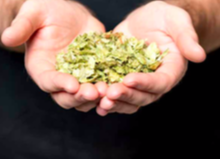 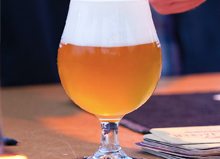 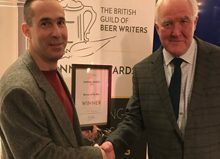 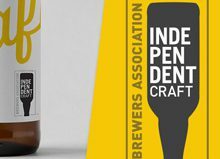 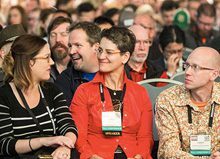 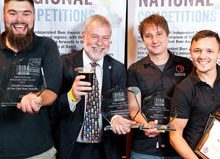 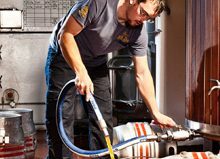 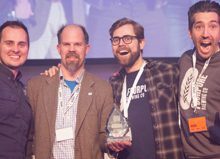 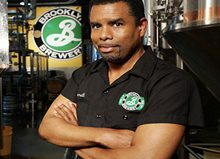 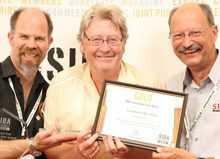 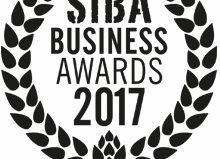 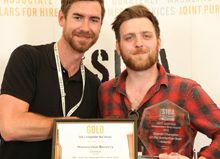 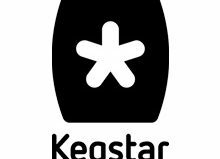 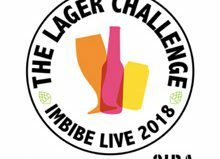 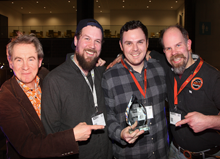 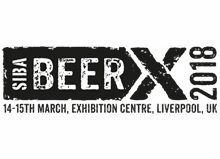 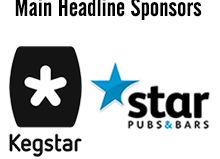 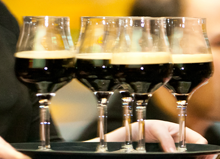 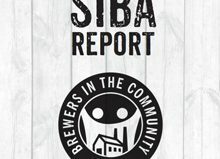 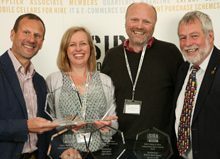 The prestigious awards, run by the Society of Independent Brewers (SIBA) prior to the “C>SK : 17” beer festival, held at the Drygate Brewery and Taproom in Glasgow, are judged by brewers and beer experts and seen very much as the ‘brewers choice’ awards in the industry. 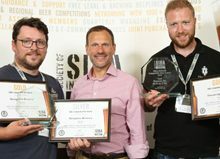 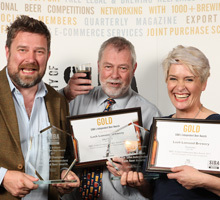 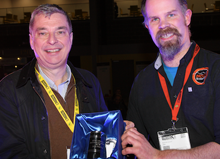 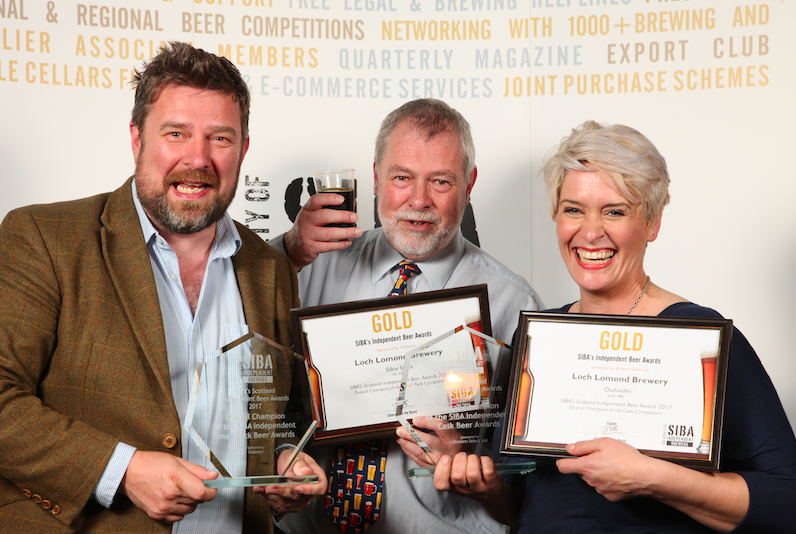 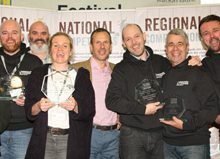 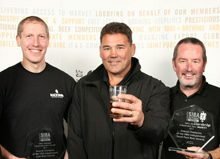 Loch Lomond Brewery’s Outlander took home the overall Gold in the cask competition and their Silkie Stout was named overall small pack (bottle and can) winner, but the prizes didn’t stop there, with Loch Lomond winning a total of 10 awards across the competition including 7 Golds. 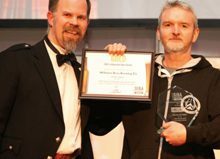 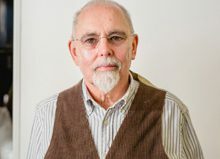 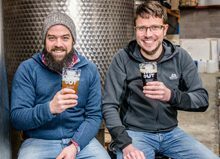 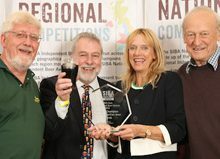 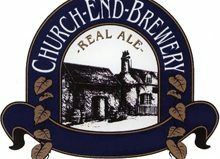 Their winning cask beer Outlander is a 6.5% Scotch Ale described by the brewer as having ‘deeply rich and slightly sweet malt flavours’, whereas their Silkie Stout, the winner in the bottle and can competition is a 5% ‘traditional stout, with a full bodied mouthfeel and smooth, balanced finish’. 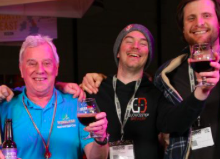 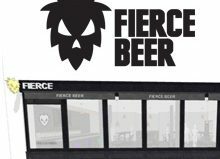 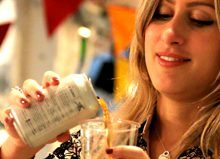 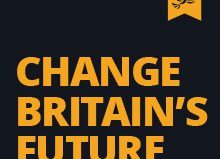 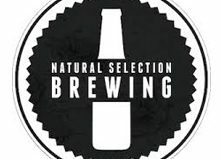 “C>SK : 17” beer festival held at the Drygate Brewery and Taproom in Glasgow features over a hundred different independent craft beers as well as DJs and live music across two sessions.